Jason Jones grew up in the Asheville area and joined Maggie Valley’s staff in January 2019. He studied music at Mars Hill University and Arizona State University. He is an accomplished singer, organist, and piano player. He works full time at Mission Health in Asheville. His earliest memory of Maggie Valley was clogging at Ghost Town in the Sky as a child. 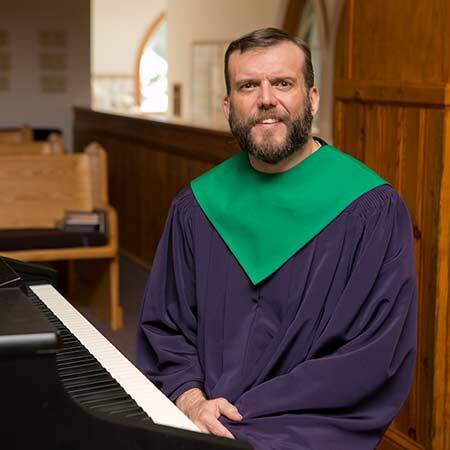 We are fortunate to have him as our music minister leading the choir and congregation in worship.